The Canadian Grand Prix has got a lot going for it. Held in the awesome city of Montreal, this race always produces a fantastic spectacle year after a year and is a favourite amongst the drivers, teams and fans. The circuit boasts long straights, super fast chicanes and often sees plenty of overtaking. The Circuit Du Gilles Villeneuve is located in Montreal, the largest city in French-speaking Quebec. The track snakes around a man-made island in the middle of the St Lawrence River and is joined to the metropolitan district by bridge. The French influence in Quebec is so strong that the province held a referendum to seek independence from Canada as recently as 1995. Montreal became a major party city about 100 years ago when prohibition was applicable in the USA and the Americans had to jump over the border in search for clubs. The party vibe has stuck around and to this day Montreal has one of the best nightlife’s in the world. There are many universities in the area that keep the population youthful and the city has one of the lowest crime rates in North America. In the late seventies Quebec’s own superstar, Gilles Villeneuve, was making his mark in Formula One with Ferrari. Hoping to seize upon his growing stardom the Canadian Grand Prix authorities sought to move the race from Ontario to Montreal, and the Ile Notre Dame Island in the St Lawrence River was the perfect location. The artificial parkland was created to host the 1967 World Expo and the facilities were also used for the 1976 Olympic Games. In 1978 the public roads around the island were transformed to accommodate motorsport and the Canadian Grand Prix was transferred there. In 1982 the circuit was named “Circuit du Gilles Villeneuve” after the man who is responsible for its existence. He had been killed in an F1 accident only a month beforehand. The circuit is made up entirely of long straights and tight corners making the track a very stop-start affair. This makes aerodynamics relatively unimportant because the main emphasis is on traction and braking. Due to it being a street circuit, the barriers are very close and the slightest mistake is often punished with a broken car. This is not helped by the low-grip surface which is a result of the roads being rarely used for racing. Champ Cars have also run at the track and have been, on average, six seconds per lap slower than their F1 counterparts. The close barriers convey the true speed of a Formula One car very well, both at the track and on TV. Some of the biggest accidents over the past fifteen years have been in Montreal and the race is always incident packed. The Safety car gets a good workout around this circuit due to the unforgiving barriers and in 1999 it even finished the race. The track favours cars with good brakes and good mechanical grip as aerodynamics are not so crucial. This has often played into Ferrari’s favour over the past ten years as they have been strong in those areas whilst lacking in aero. In the eight races between 1997 and 2004, Ferrari won six and had pole position in the other two. Overtaking is common and with regular safety car interruptions it is quite possible to stage a comeback. Brakes are the biggest challenge for drivers and most of the cars will be fitted with special cooling ducts that are used at this circuit only. Brake problems and failures are common so it is crucial that drivers look after them throughout the whole race. Another unique challenge is the infamous ‘Wall of Champions’. The concrete barrier on the exit of the final corner is very close and claims a number of victims each year. In 1999 it happened to claim Michael Schumacher, Damon Hill, and Jacques Villeneuve, all former World Champions, hence the nickname. The wall has also claimed a World Sportscar Champion, a World Go Kart Champion and even a World BMX Champion. Hitting the kerbs at slightly the wrong angle is enough to push a driver into the wall and join the long list of others who have done likewise. 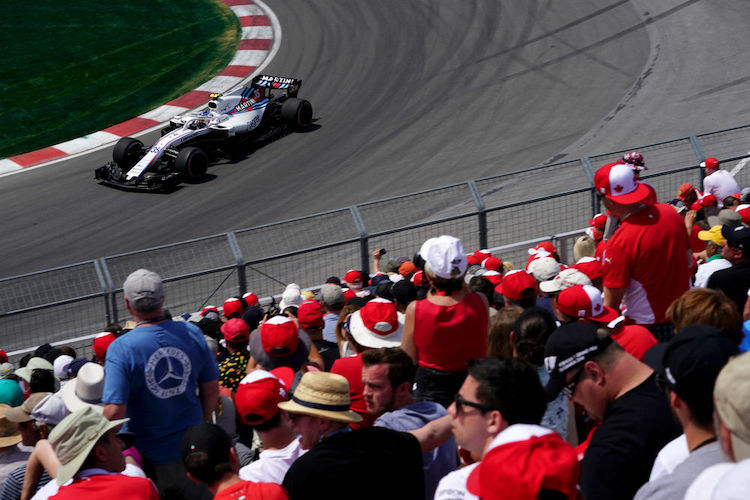 The Canadian Grand prix is always one of the most exciting, and is always unpredictable. It is kind of like a superfast version of Monaco. The safety car keeps the field close together and there will always be someone fighting through the pack. It is a guaranteed highlight of the season. 1981 : Gilles Villeneuve finished third on his home circuit, in torrential rain, with his front wing missing for the whole race. 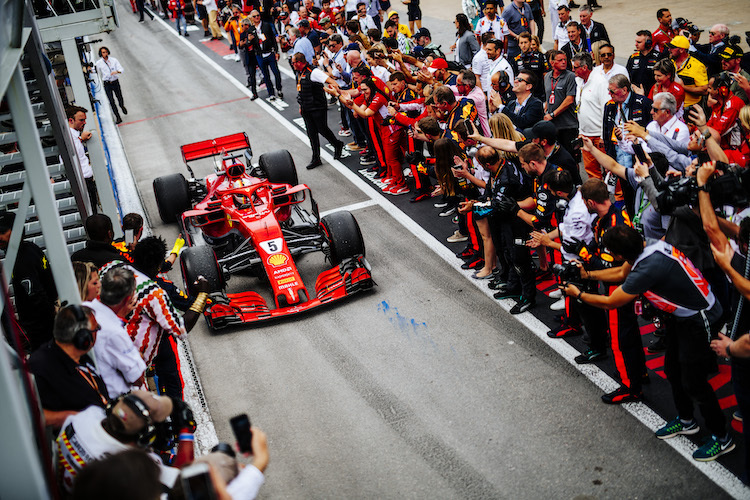 The crumpled front of his Ferrari even blocked his view for part of the Grand Prix, making his podium finish all the more incredible. No wonder they named the place after him! 1991: Nigel Mansell had the race victory all sewn up when he started waving to the crowd on the final lap. Embarrassingly, Mansell was so busy with his hands out of the cockpit that his engine stalled and handed the win to Piquet. No other driver has dared celebrate early since. 1995: Jean Alesi took his only Grand Prix victory in 1995, and did so on his birthday driving the number 27 Ferrari that Gilles Villeneuve had made famous. Alesi said that he had difficulty finishing the final laps because he could not see clearly through the tears in his eyes. 1998: Alexander Wurz clipped the side of Jean Alesi at the first corner and launched into a series of barrel rolls that took four other cars out off the track. The Austrian emerged unscathed and later went on to finish fourth in the restarted race. I have 2 Popular grandstand tickets for Sunday. Can I bring my grandchildren with me? Or are the free children tickets only applicable to General Admission? This is my first time going with my 7 year old son. I bought a Sunday GA ticket with child access. Where is the best place to sit? I hear the hairpin is good but probably crowded. Is there a GA spot near the pits? Hi Ed! General Admission is a bit of a fight especially on a Sunday. The feeling is that the hair pin is the best place to view from but you may struggle for a spot unless you are very early. There is general admission viewing after the turn 2 grandstand. Could give that a go? Have a great time and please come back next week to share your feelings about the race! Bringing my F1 obsessed teenager. Got seats in the family stand. What are we allowed to bring in? (Portable seats with backs? Coolers? Umbrellas? Backpacks, food, etc.) Thanks! Hi Cheryl, I’m sorry I can’t find any information on the ‘Family Stand’ I’d recommend contacting Silverstone directly.